And Everything Sweet: Celebrating 300 followers! GIVEAWAY!!! I just noticed this morning that my little cake blog has hit 300 followers! I'm so excited about this!! :) I remember being surprised when I had 30 and now 300!!??!!? Wow! I want to say a big thank you to all my supporters and followers for all the wonderful comments, emails and opportunities all of you have given me over the past year and a half! I'm not sure if I have ever really told my story on how I started off so here goes...about three years ago my mom, nana and I decided we wanted to learn how to decorate cakes so we signed up for a cake decorating class through Wilton. I made it to one class and had to drop out. Yes, I am a cake school drop out. :( School is cool right?! Well, not when you're 6 weeks pregnant and the smell, look, taste, thought of icing makes you sick sick sick! It was torture! I love cake, but couldn't stand it for the entire 9 months of Olivia's pregnancy. Isn't it crazy what pregnancy can do to you!?! So after one little class I dropped out and didn't look at a cake for another year or so. Then Livie was born and Bailey's 3rd birthday came around. I revisited the idea of decorating cakes because my little girl wanted me to make her a cake...I practiced and practiced and practiced. I bought a couple cake decorating dvds. I googled about 1000 "how tos" and watched some You Tube videos on different cake decorating techniques. I have learned how to decorate cakes through a lot of trial and error and countless hours searching the internet for advice. But with no proper training, and lots of "holes" in my cake decorating education it hasn't always been easy. Which brings me to my giveaway!!! I so appreciate all your support so I wanted to host a fabulous giveaway that would be perfect for all my cake fans. :) I contacted the TALENTED and oh so WONDERFUL Melissa Diamond (my new best friend/hero) of MY CAKE SCHOOL. If y'all don't know about her site you NEED to check it out! I found it about a month ago and I am SO HAPPY I did!!! Its full of great cake decorating ideas and video tutorials from basic buttercream decorating techniques to working with gumpaste and even chocolate. Its great for beginners and even experienced cake decorators who want to improve on their skills. I am particularly happy with the gumpaste tutorials as that has always been a big weakness of mine. But with Melissa's tutorials I actually ENJOY making gumpaste figurines! I'm telling you, I LOVE this website! To enter the giveaway leave a comment with your name and where you can be contacted. (You must be a follower) I will randomly select one winner on April 15th. 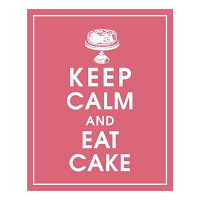 Stay tuned, good luck and Happy Caking!!!! Oh how I would love to win this! I love MyCaKeSchool site too as well as yours! I love making cakes and want to get way better at it! I Just told hubby that I have set my mind to sign up for some cake decorting classes! Cool! So I like you started decorating cakes for my kids!! I think your work is amazing!! I'm so inspired by everything you do. Everything is self taught or learned AGAIN like u through the Internet!!! Anyway thanks for the chance to win more knowledge through this great website! Oh wow!! Such an amazing giveaway!! Happy 300!! WOW!-300 followers...I'm new to the world of blogging and want to say...I love your party ideas! Awesome giveaway! I just found her site last week and was debating it but was thinking I should take an in-person class first. Then again, what's wrong with being self taught? Such a great giveaway! Congratulations on your 300 followers! I have 15 and that makes me giddy with excitement! What a fun giveaway. I love making cakes and this would be so much fun to win! Love your blog by the way! I started the same way as you did with cakes! Congrats on 300! Congrats on 300+ followers. I just found your site and would be excited to learn more tips through My Cake School. Keep up the wonderful work you are doing! hello Kate my name is Ursula when I read your story it was almost the same way that I started my cake decorating career, I star like you with videos and so many research because in the beginning I couldn't afford the class, so I star with my computer, books and a lots of trials.....congratulations for your 300 followers sure you will feel happy....I would like to win your giveaway because I feel very identified with your story!!!!!!!!!! I love Melissa from My Cake School! And I am just lovin your blog and all your wonderful cakes. So Talented, keep up the good work! Love all the stuff! would really love to have someone help me learn how to make people, find that the most difficult to do. congratulations!!! (I bet you have WAY more than 300! I follow you on google reader, doesn't show up in blogger numbers). Here's to 300 more! I've never heard of My Cake School...so I'd love to win this!! Thanks for sharing! I always look forward to see what new creations you've come up with!! I follow you through Bloglines. Love your story. I too have been trying to learn by googling stuff so I would love to win this prize....her website is awesome! I love your blog! Even if I don't win, I still am a winner, because I get to access your blog with all the different cakes and party ideas. This is a great giveaway!!! I just recently found your blog and I LOVE LOVE LOVE it!!!! It has inspired me to try bigger and better cakes. I am a trial and error cake maker. I have never taken a class (always wanted to) but I always make practice cakes before making the final one. Thanks for the inspirations and your creativity!! Thanks for the giveaway, I would totally love to be a part of the Cake School!!!! I need all the help I can get, I too am self-taught. THanks again. Love your blog!!! Congratulations! I love Cake School! I follow her free blog :) I am a self taught caketista too, my mom walked me through my 1st cake over the phone (since she had taken a class and naturally I thought she could teach me :) and now I am OBSESSED!! I've been toying with the idea of a My Cake School subscription. It would be a nice treat to win one. Congratulations on 300 followers! I started decorating cakes/cupcakes for my kids when we moved across the country and away from my "go to cake girl"! 3 years later and one Wilton class under my belt I am hooked! Thank you so much for the chance to win a year subscription to My Cake School! Congrats!! I have been a member of My Cake School.com for about a month and LOVE IT. Melisaa is so great & talented, just like you. Again, congrats! I neeeeeeeed Cake School! My icing piping is not cute, but I am obsessed with figuring it out. I would love this!! I love your site and check it daily to see what beautiful creations you have made!! What a wonderful site! Congratulations on 300 followers! I love seeing your beautiful creations, and check daily (when I'm not neck high in projects). I got into cake decorating about 4 years ago, just for the heck of it, and my kids. I completed 1 1/2 of the Wilton classes, and have been self teaching ever since. I'm a doofus. I left a comment above, but forgot to leave a contact address. That's what I get for posting after being up all night. I've been toying with the idea of a My Cake School subscription. It would be a nice treat to win one." Congrats on 300! I love baking and would LOVE cake school! Love your site! Would love "cake school" Going to check out this site! Oh My Goodness Cake!!!! What a fantastic giveaway! I would LOVE LOVE LOVE To win this one. I have been decorating cakes now for maybe about 6 months and am getting hooked. I have learned all I can from, like you, the you tubes tutorials and looking at everyone else's amazing blogs and creative ideas. I would be honored to be able to take the online cake classes!!! Thank you. Congrats! Your blog is fantastic and a new addition to my list of frequently viewed sites! What a great idea! I've really enjoyed looking at your cakes...thanks for the chance to learn more! I love coming to your site for party ideas! I LOVE all of your creations! Just found you blog - I love it! Kate, I am a huge fan of your cakes! LOVE every one that I've seen! I also love your party ideas! Your giveaway is a great idea. Love your site and hope to win! Grrreat site....very inspiring!!! Would love to win the gift membership to take up some time while my husband is overseas!! I would love love love to win a year worth of time with My Cake School with Melissa! Her site ROCKS!!! and i am so happy I found your site as well. I just started my own business in Alaska making custom design cakes. i would love your feedback on my cakes and my site. check it out at www.cakesinlove.com thank you and have a "sweet" day! Just became a follower today! Can't wait to read more of your posts, your blog looks great! I too took a Wilton cake decorating class with our first (also named Olivia) but I was nearly 7 months pregnant when I did! I would LOVE to win, I've been a follower of Melissa's cake school just in the last few months, and I LOVE that sight!! You can reach me at my email: angelabarton@mac.com I have a cake blog at www.angelabartonscakes.blogspot.com Take care!! And Good Luck to whoever you pick to win! I, too, took the Wilton class, but want to learn so much more. Besides, my hubby wants me to to use the cake decorating stuff I have that is starting to take over my kitchen! Hi! Congrats on 300 and I've just become a follower! I've been wanting to subscribe to mycakeschool.com, but there's just so many 'cake' things I want/need, there's just not enough $$ to go around! I am SUPER excited about this giveaway!! I want to take cake decorating classes and we don't have anywhere around here to take them. It would be so awesome to win! I really want to make my children's cakes this year... and if I am able, I would like to make our Easter cake... OK, I can find any reason to make cakes! Congrats on your 300+! Here's to more!! WOW!!!! I would be thrilled to win this giveaway. I've tried to decorate cakes and cupcakes but they never look professional. I would love to have the opportunity to expand my decorating skills. Thank you for being so generous and keep posting those amazing cake pictures. What a cool prize! I'd love to win - i'm also teaching myself how to do things and i've joined a Cake Decorating Guild. I am just starting a cupcake business and would love to be able to take a few lessons! I think it's so awesome you are offering this. I have been make cupcakes for friends and family forever and they have encouraged me to branch out. Winning this would be a God send, thanks for the chance.